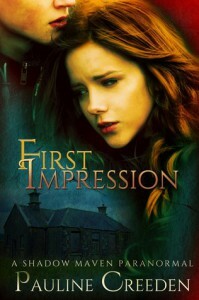 Free ARC in exchanged of an honest review. Thank you NetGalley. The story started at a very slow pace. I kind of groaned when	I realized that the heroine has insta-love-syndrome. I mean the story just felt like anything else around there. 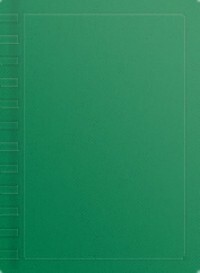 I asked myself, "What does this book have that makes it stand out or different?" I tried to find something but I didn't. I didn't fell for the male lead, Ben. And I will tell you that is very much unusual. I mean, almost every YA book I read made me wish that those heroes are real. I didn't connect with the characters. I mean when I knew who the hell is behind those events in the book, I just thought "Okay." Nothing mindblowing. I don't know. I feel kind of detached from the story. It didn't reel me in. Somewhere between the book, i just wished that i could finish it soon enough. I'm not a writer but I knew that it's hard creating a story. I just want to find something that other books did not have yet. Maybe others will find this interesting but it just wasn't for me. Woah. Woah . Woah. I loved The Darkest Minds with all my heart and fortunately, Never Fade didn't freaking disappoint! 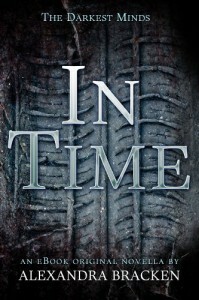 The story picked up six months after the last book ended. Ruby has been with the League and has been involved with different Ops. She had planned to escape from the start but many things happened at once. Ruby came across an Op, a special task. One that has the key to stop the things that are being done to children with abilities. It's too much of a risk but she was willing to do it because she had enough of everything.And grab the chance to see Liam again of course. She and the others was brought to the "Skip Kid" and the most heartbreaking encounter in the history of books happened there. She saw Liam, pretty much weak and sick. Liam. I knew it! I was so shocked when I think about how those memories were erased but the feelings weren't. It must be really frightening and overwhelming on his part. 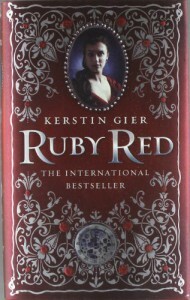 I asked myself in the first pages of the book, "Is it possible for Ruby to make other people remember the memories taken from them?" I get frustrated at first and I kept thinking, "Come on, tell Liam what you have done Ruby. He deserved to know!" I hate that fact that she focuses too much on the wrong things that she did and not see the bright side of it. I admire her for her braveness. I admire her and that includes the fact that sometimes, she had to make stupid decisions. The people around us would always do things that seems so wrong to us but sometimes, it's the only way that works in their eyes. Jude. Oh my god! I didn't see that coming. I loved him to bits. I loved his eagerness to do things even if sometimes he doesn't see the risks. I loved his innocence despite the fact that he lives in a very broken world. HE DIED AND I'M NOT OKAY I'M NOT OKAY! The ending. What can I say? It made me pretty much wait on edge with anticipation for the the next book. I would recommend this mind-blowing series to everyone! That's a really shocking ending! I didn't cry at the end of the novella. I just felt sad. It happened so fast that I don't know how to react properly. But I did cry, though. I cried when I read "Liam is fine" because he isn't. Far from it. My heart hurts everytime I think about the ending of The Darkest Minds. That's the most evil ending ever!! This novella is okay though. 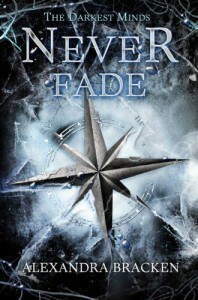 I can't wait to read Never Fade! I liked the book. Honestly, this book is funny that I actually want to join the PMS gang myself. PMS means Paranormal Management Society. Isolde, Izzy for short, was very much likable. I mean, she was really struggling with mundane problems like dating, kissing, fitting in, etc and I totally understand her. She's used to fighting and not with those normal things. But she managed to fit in eventually. It's not hard to like her. I liked Dexter. He's not your usual strong and bad-boy type. He has asthma and was always attacked by it but he managed to caught my heart. I feel like I can see a little "Will Herondale" in his actions and words. "I'm Dexter O'Neil, Mrs. Brannick," Dex said, offering ng his hand to shake. "I'm hoping that you'll adopt me." Oh my gosh, that line absolutely made me laugh. It's just so bizarre blurting that out after Aislinn smashed the mirror that imprisoned Torin. The thing with Dexter's Nana, I didn't see that coming. Yeah, I had my suspicions but what happened is far from what I predicted. Oh my word. He's going to live with them and I can't wait for the next book to come. 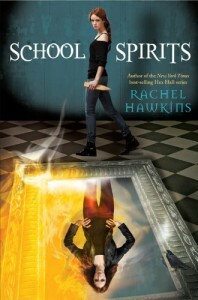 This book was great and I recommend it to all the fans of The Hex Hall Series. 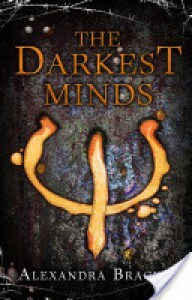 "The darkest minds tend to hide behind the most unlikely places." When I started this book, I thought that it would be an easy read. That it would be just like any other book in it's genre. No. I was very wrong. It was very far from that. I didn't know that I'll be signing up in a very intense, catastrophic read. After reading this, I can't do anything else but to sit still and stare into space. I'm a freaking wreck. RUBY. She has an extraordinary ability just like any other kids in the story but she's one of the strongest, the most dangerous. I laughed, hurt and even cried with her. Everything that she went through was so not easy and I'm at awe by how brave she was. And selfless that made her basically one of the most heroines I loved. The thing about the choice she made in the end just UGHHH! I absolutely understand her but it doesn't make it hurt any less. Yup. You heard, I mean read, that right! I am hurting. I've become so emotionally invested in this book. LIAM. Oh my gosh. (I can't even type his name without tearing up!) I harbored a little crush on him. I mean, who wouldn't? He was so adorable. I mean, remember the socks? The orange? *sigh* I admire his optimism, he's will to make everything right by giving everything that he could. I also admire his kindness. He's perf, nuff said. "Did you know...you make me so happy that sometimes I forgot how to breathe? I'll be looking at you and my chest would go so tight ...and it's like the only thought in my head is how much I want to reach over and kiss you." I don't know why I cried in this part but I did. You see, I'm an emotional wreck. CHARLES. He's like Liam's bestfriend. He hesitated at first in letting Ruby join them. I understand him. But when he loosened up and finally accepted Ruby in their group, I've grown attached to him. I cried when I thought that he's going to die. I cried when the letter he wrote was read. SUZUME. She was so adorable! Seriously, she's like the light in their darkness. I honestly love her and I really wish that she would talk already and overcome what's keeping her from doing it. I would protect her myself, if I could. CLANCY. I liked Clancy at first. Seriously, I thought he's going to be like Warner in The Shatter Me but I was so wrong. What the hell? He's creepy and controlling and absolutely horrible. HE MADE ME DOUBT MY LOVE FOR LIAM FOR ABOUT TWO SECONDS. UGH. I can't believe I liked him.I'm just so glad he taught Ruby something useful. I loved that this book is filled with pretty intense, action-packed scenes and it never, not eeven once, bore me. It held my attention from the start to finish. The plot was awesome. Okay, enough said. I'm so freaking ruined right now. I can't stand the fact that Ruby would be shaped into a monster. I am pissed at her a little when she pressed the panic button. I mean, from the beginning, i was conveying my message to her to get rid of that cursed button by shouting!! But I can't hate her. It seems like the best thing to do. But #@?$;&/8&?$;/ it was so sad. It was definitely heartbreaking. The ending. It broke my heart into million little pieces. My poor Liam. I MEAN, WHAT THE HELL? I honestly have a thing against authors right now trying to do everything to break us. To leave us being this miserable. But if i didn't make myself clear enough, I LOVE, LOVE, LOVE this book!! I recommend this book to everyone. EVERYONE! I mean, who the hell in their right minds would rate this book other than 5 stars? I can't believe I didn't read this sooner. Pick up this book right now. I promise you that you won't regret it. I need to read the second book right now or I'll lose it. Wow. 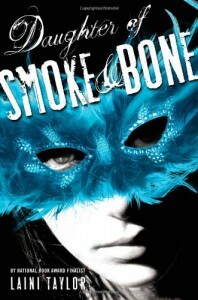 A book from Holly Black and Cassandra Clare? I. NEED TO READ THIS. 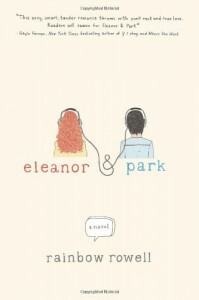 What's with people hating this book already because it sounds like a Harry Potter spin-off? I mean, does J.K. Rowling only have the right to write about a book like this? Uh, maybe not. I haven't read Harry Potter yet so I have no idea what you guys are talking about. 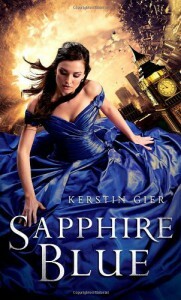 *evil laugh* But please before hating this book, at least give it a chance. Okay? Okay. This book was about two best friends, Tatum and Jared. They we're pretty much inseparable. Then one day, Jared went away to spend time with his father. When he came back, he wasn't the same as before. He bullied Tatum. Why? She didn't know. Then, she left for France. When she came back, she's ready to fight. When he pushes, she pushes back. I didn't like Jared at first though. Gosh, sometimes I thought how could Tatum even liked him after all of the things that he's done. He was absolutely horrible. Okay. He was hot so what? One would thought that you have to be some kind of a masochist to put up with everything that he did. But then we see the reason behind his wrongdoings. I know that everything that happened to him doesn't justify his actions but one thing is certain. Bullying is never a good news. And those bullies, they we're also hurt before and they want others to experience what had transpired with them. I don't know what to feel about Tatum's bestfriend, K.C. She's obviously a failure in the friendship department. I really hate it when friends act like the way she did. And Madoc. "They bumped with each other?" Seriously?!?! That got me cracking up. I know that he's a good guy. And there's going to be a book about him!! I will definitely be reading that as soon as I can. It's been a while since I've read a book about vampires and it felt good when this book held my attention. I mean, I'm not fond of them but this was a good read. In a creepy sort of way. I'm quite horrified at someone thinking it would be nice to be a vampire. Well according to the book, being a vampire has it's perks but wishing to be one doesn't make any sense. Do you hate your life so much? Living forever might actually sound enticing but that will be so tedious. I mean, you would see the people you loved grow old and die. And why am I really focusing on this? It's not as if there's a way to really live forever. I liked the heroine, Tana. I think she's very brave. About the hero.Gavriel. What are you? Sometimes I think you're cute and other times I felt horrified at the things you do. I mean you we're pretty awesome. Just stay away from blood and all those gory things. Okay. The kiss (was that kissing?) between Tana and Gavriel was definitely worthy of feels. It's freaky,yes but I find it very amusing. I'm absolutely horrified when Tana was bitten by Midnight. I mean, I think I saw it coming, but I was still shocked and freaked out when that happen. I'm like "omg omg omg" and then she killed her. She killed Midnight. And that's why you should get away from me as fast as you can and keep going. Even my love is monstrous, Tana.. I felt kind of weird when Tana and Gavriel were drinking each others's blood. It does have a sensual and intimate appeal to them but it just kind of gross me out a little bit. I mean, I ship the two of them together but please, I don't want to read about those things again. I wonder though, will vampires in a relationship do that if they were real? The plot twist: It was awesome! I didn't saw that coming. I feel quite unsatisfied at the ending though. Is Tana going to be a vampire? What will happen with Tana and Gavriel's relationship? I actually want to read about Tana when she'll be like screaming and begging to be let out. Overall, it was a great read. I'd recommend it to anyone who didn't want to get invested in a series at some time and prefer some stand alone novels. "We all wind up drawn to what we're afraid of, drawn to try to find a way to make ourselves safe from a thing by drawing inside it, by loving it, by becoming it." OH MY GOODNESS. JUST WHAAAT. WHAT THE HELL ASDFGHJKL . WHYY? (&;!/!? ?# Buut. Whatttt?? I. Can't. Even. Why? I am seriously furious with the author for giving such evil cliffhangers. -Gwyneth. She's still so much fun and I just love her. I just kind of get irritated with her when she got so dreamy about Gideon even though he's acting like a jerk. I mean, come on, why do girls always root for boys whose moves and actions doesn't make any sense? I hoped that she'll have another love interest in the character of Raphael but I was wrong. Though if you think about it, that will be kind of gross. So just forget I said anything okay? - Gideon. I am in a love-hate relationship with Gideon. I mean, my goodness, he was just so confusing and he made me want to bang my head on the wall. He's such a sweet little thing then he became this cold and mean guy then back to being sweet. Argh. Make up your mind, why don't you? - I loved Lesley, the gargoyle, Rossini, Robert and even James. And Raphael also though he didn't actually do something of great importance. I loved the whole time-traveling thing. Basically, I loved everything. I just get irritated at Gideon sometimes. - I have so many questions at the end of the book. Why does Gwyneth seem to be so important to Paul. Is she his and Lucy's daughter? (I know, crazy guess)	WHAT IN THE WORLD IS GOING ON INSIDE GIDEON's HEAD? Ugh. What is the FREAKING SECRET?!?!?! I'm crazy I know. Guess, I should be in a hurry to read Emerald Green to find them out. - *gasp* My heart broke for Gwyneth. Seriously. She didn't deserve any of that. Ugh. Everything is just too much. I don't know if I should hate Gideon or not. Ugh. So confusing.UGH. Don't mind me. I just want to release all these angst. -As you see, I'm pretty much invested in the story's characters. And that's a good thing because the kind of book that makes you really passionate in talking about them is an amazing one. I'm still young okay so I'm still allowed to be feeling childish at times. 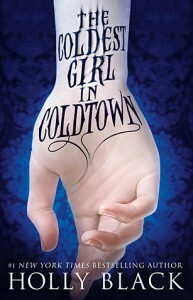 I can't wait to get my hands on the third book.! Evil author is evil. Oh. My. Word. WHAT KIND OF ENDING IS THAT? This time-travel thing was so interesting that I want to go back in time myself. The moment I could get a hang about everything, it was all very fascinating. The plot, the characters, those are all very lovable and while you're reading, you can see yourself being very much into the story. > I love Gwyneth! She is so hilarious and I don't know how many times I have to stop myself from laughing so hard. I also loved her bestfriend, Lesley. She's such a great sidekick. And she's kind of funny, too. No. She is funny and they're like totally meant to be bestfriends. >	At first, I'm a bit not okay with Gideon. I mean he's acting so mean and being a jerk. But then, I don't know. He became okay. But I'm still looking forward to see him become something more than that. Ha. He have to redeem himself first. >The ending is so cute. Ugh. I'm having butterflies in my stomach. Yeah yeah. I'm a romantic I don't care. But.. They're... They're just so CUTE!! I mean I ship them together. Obviously that's because there's no other hero. At least there's no insta-love. >The epilogue, it is very confusing. That's Lucy and Paul, right? Does it mean that they have been in the present two months ago? It looks like they're the good guys and the Count is planning something evil. The author is evil for leaving everything that way. I am disappointed because I loved the little glimpse of Grant and Harlow in Forever Too Far. And everything here is just... Meh. Let's start with the positive thing. -Kiro. What the hell? He was so different when I've read about him in the Fallen Too Far series. He was absolutely still in love with Emily. HE EVEN FREAKING BRUSH HARLOW'S MOM'S HAIR! I mean, who does that nowadays? That nearly brought tears to my eyes. His devotion was simply amazing. I never thought I would see him more than just a douche kind of dad. - I hate that NAN is just always this pathetic, jealous girl who wants to be the center of attraction. Just what the hell? And here I thought I couldn't hate her more than I did on the Too Far series. Boy, I am so wrong. The story practically revolves around her. Again. Seriously, if you want people to love you, make it easy for them. I understand that she wants to feel loved. Yeah. Yeah. She practically has no one. But if I were to be in Rush and Grant's place, I would probably get tired of all her stupid dramas. SHE SHOULD GET A LIFE!! - Grant. I hated how weak of a hero he was. He was just not doing anything good to me. HE FREAKING SLEPT WITH STRANGERS, YEAH PLURAL, BECAUSE HARLOW WENT OUT WITH ANOTHER GUY. I mean that's freaking insane considering that Harlow is "special" to him. He practically always think of Harlow as "the One" but he doesn't want to get too involved. Ugh. - I hate the ending. I don't know, maybe I just don't understand that just because Harlow is freaking sick, Grant was so hurt and he decides to leave her. "Love just didn't go away because of lies." Please. DON'T MAKE LIFE SO COMPLICATED. If you love someone so much, you would see what they had to do. What they needed to do. I mean, come on! Harlow wants a life that was not being pitied by people. Frankly, I almost didn't finish this but I'm a curious reader so I want to see what will happen in the end. While reading this, I actually want to bang my head on the wall. Well, the ending. I expected it to be that way somehow seeing there's a sequel but now, I am in no hurry to read it. I'm pissed at myself for not liking this book. It's great but I think it's just not for me. I found myself losing interest in the middle up to the last page. I loved how this book started but everything just I don't know, bored the hell out of me. I doubt I'll read the sequel. What in the world?!?! There's a 4th book?? And here I thought it was only a trilogy but a 4th book? A 4TH BOOK? That only means one important thing. MORE HALE!! I WANT TO KNOW HIS WHOLE FREAKING NAME. Don't you? DON'T YOU? A summary right now pretty please? I'm utterly speechless after reading this book. WOW. JUST WOW. I didn't expect to like it very much. I was completely blown away. I find some things very confusing but maybe the author meant to write it that way. I can't tell how many times I've said "What the hell?" while reading this. I am continuously surprised by the flow of the story. It was never predictable. And I liked it that way. Mara Dyer is so complicated and I can't describe her properly. Through the story, sometimes, I genuinely thought that she's a psycho. I have so many guesses. But then, my theory would be proven wrong so I just stop and see where the story would lead. "You like them," I realized. "Like as people." Noah was everything you could ask for. And when he blamed himself for not being able to help Mara when she was handled by Jude, MY HEART JUST SIMPLY BROKE WITH HIM. Near the ending, I cried with these characters. I felt their pain and fear that is so raw. Their desperation. Everything is just. Was just. Ugh. Everything was too much. I couldn't breathe. I couldn't think straight. What the hell, Dr. Kells? 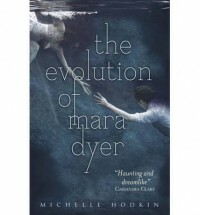 In the Evolution of Mara Dyer, I felt every thing. I was terrified. I fell in love. I was terribly sad and frustrated. There's a lot of emotions that I'm still dealing with right now. And I don't know if I'll ever move on. The ending. Really, why do the authors like torturing their awesome readers by leaving them hanging? I have to wait 4 freaking months, I think. But I know for sure that it'll be worth the wait. If I just knew how to insert GIFs, I would probably flood this with so many. But whatever.